One of Scotland's top women footballers has told BBC Scotland she would play for Team GB at the Olympics if she was selected. 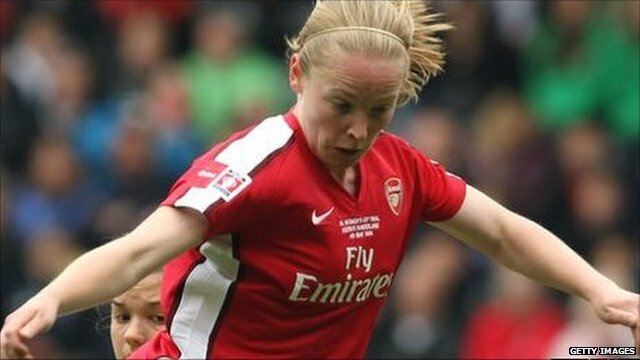 Arsenal's Kim Little said London 2012 presented a wonderful opportunity for female footballers, and that she feels British as well as Scottish. Her comments come despite the Scottish Football Association's opposition to a British Olympic football team, amid fears that Scotland's long-term position as a separate soccer nation could be compromised by Team GB's participation in London 2012.